Mise’l grew tired of being ridiculed for his slight frame. See how he packed on 75 pounds and set weightlifting records! A father figure of mine is the biggest mass builder in my region and I always wanted to look like him. Whenever he walked past a stranger they would always have to turn to get a second look in disbelief of his size. 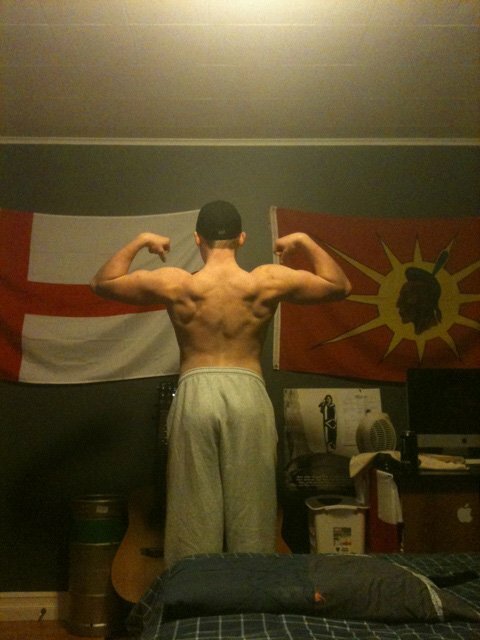 Here I stood almost 6 feet tall and under 130lbs, bullied through school, and I was fed up. It was all I ever wanted to become, a mass monster, someone like him that turned heads and inspired many. 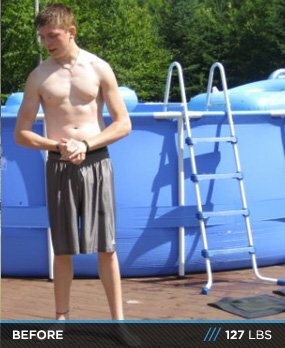 I began going to the weight room in 2008. 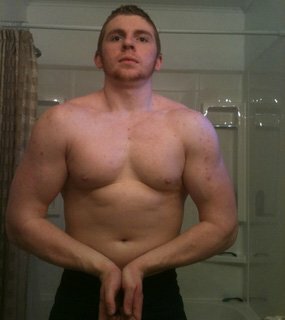 For the first year all I had done were bicep curls and had tried to bench press finding out the bar was my one rep max. So I began to look at the bodybuilding magazines and read how they train and ate. Being a realist I knew whatever they said to do, to tune it down a bit because my body will be incapable of completing it. My first training program was a Jay Cutler bicep workout. 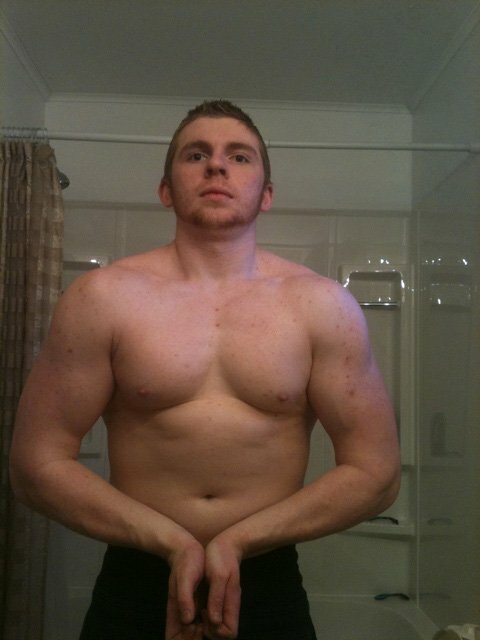 Three years of weight training packed 75 pounds of muscle onto Mise'l. 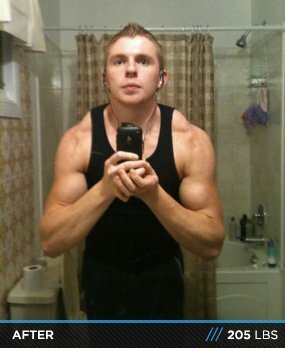 His efforts assured him that no one will ever call him weak again. All raw with no gear except a belt. 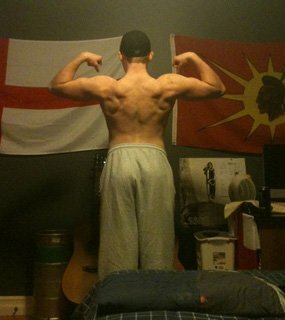 After only two years training, I had competed in a powerlifting competition setting provincial records and placing 1st. These days I am true to bodybuilding but do more of a powerbuilding type workout, always pushing my limits. Even with not the greatest genetics I will never use that as an excuse, I know with the power of mind I can achieve anything. The main supplement I use is food, no matter what I always find a way to get my meals in. For a protein I mostly go towards Syntha-6 because of the taste, and for a pre workout N.O. Xplode since it gives me a lot of energy and a great pump in the gym. Anything I can put together high in protein on a student budget. Never let anyone tell you that you can't do something. Never let anyone get to you if you try something and they mock you for it. For little do others know the outliers and believers of today will be the leaders and inspirations of tomorrow. I was bullied my entire life and put down for what I believe in, I never let it stop me, sure at some points it got to me, I cried, I got mad but I cried while planning my future and used my anger in the gym. Life is full of motivation, only we can control our future. Whenever starting something, before you start know you are going to finish it, do it with the best of your ability and put your soul into it. Bodybuilding is not a past time, it is a lifestyle and if you're not willing to do what it takes then you may as well get out the gym, because that's not the attitude that will get you to the top.